The item I want isn't on your website - How do I place a special order? We want to make sure you get the merchandise that you want. If you see a piece from one of our vendor's websites or catalogs, give us a call and we can order it for you if we don't have it in stock. We can call and get the cost and timeframe for the order. Payment is due when the order is placed, and there are no returns on special orders. NOTE: There may be times when a piece is ordered on our website that we cannot alter ourselves (i.e. Sterling Silver rings, tungsten, titanium). If this is the case we will contact you immediately and inform you that the piece will need to be special ordered and the timeframe for receiving it. If you choose not to place the order at that time we will cancel the order and credit your payment. How do I know what size ring I am purchasing? Most of our ladies rings (unless specified in description) come in a standard size 7 and men's rings in a size 10. When ordering a ring you have the option of choosing what size you want. If a ring is ordered and specified in a size not standard to that ring, we will size it free of charge (please add 1-2 days to ship time for your order). If it is a sterling silver, titanium, tungsten or other non-sizeable ring that is not in stock in your size, we will need to order it in your specified size (please keep in mind that this could take 3-6 weeks). We accept all major credit cards (Visa, MC, American Express, and Discover) and Paypal. You can also pay with your Day's Charge Card or set up a layaway program by contacting us at 800-439-3297 or emailing info@daysjewelers.com. We also accept checks or money orders for our merchandise. Add the desired products to your shopping cart print out your order and mail it with your check or money order to Day's Jewelers, 88 Main St. Waterville, ME 04901. Yes, however, only if your order is less than the amount on your gift card. Should you need to use two forms of payment, you will need to call 800-439-3297. If the amount of your order is less than the total on your gift card, enter the gift card number as the “Day’s Charge Account” when checking out. If an order is received on a business day prior to 2:00 PM EST, items are generally shipped same day (unless it is a special order or personalized – engraving or sizing). We use UPS ground shipping as our standard shipping method and anticipate delivery within 1-2 business days within Maine and New Hampshire and 3-6 business days throughout the US. Express shipping options are also available at an additional cost. It is important to us that you, or the person who receives it, is 100% satisfied with your purchase. We offer a full refund on items returned within 30 days. Day's cannot offer a full refund for items that were custom designed, show wear, have been altered, or have been engraved. 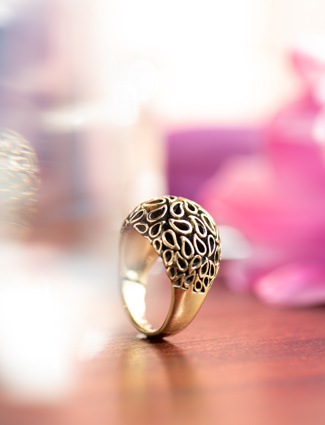 Mother’s Ring are custom created, and therefore we are unable to accept returns. Are all products on your website? No, not all of our products are online. We have over 10,000 items on our website, as well as over 15,000 unique pieces within our 6 retail locations. Also, if you see something online you like that may not be available at your local Day’s Jewelers, we would be more than happy to have it sent there for you to look at (with no obligation to buy). If you can't find what you are looking for, please call us at 800-439-3297. We are more than happy to shop for you, and see if we can find the best possible option! Yes. If there is an item that you see on the Swarovski website that you do not see on ours, please call or email us for more information. We can special order most Swarovski items for you. What type of chain will be strong enough for my pendant? Most of our pendants come with box chains. 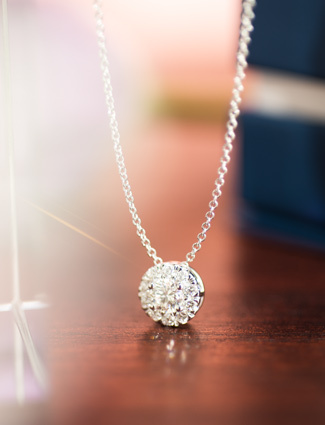 If you are purchasing a pendant without a chain, it really depends on your preference for what style to get. However, for the strongest of chains, we would suggest a parrisian wheat chain. Can you fix my broken silver chain? How much? We can fix your silver chain. The price is going to depend on what is broken and the type of chain. Please bring it into your local Day’s Jewelers and have one of our goldsmiths take a look at it. Do you cut rings off of fingers? Yes, we do cut rings off of fingers. Can you fix rings that have been cut off fingers? How much? Yes, we can fix most rings that have been cut off of fingers. The price will vary depending on the thickness of the band and the type of metal. Please bring it into your local Day’s and have one of our goldsmiths take a look at it. Do you solder rings together? Yes, we do solder rings together. If you wear your engagement ring and wedding band together at all times, we recommend that you solder them together to avoid wear caused from the two metals rubbing together. Please bring them into your local Day's store for a free quote. Do you size rings? How much? Yes, we do size rings in house. The price will depend on the metal type, thickness of the band and what size (up or down). Please call or stop by your local Day’s and ask to speak with the goldsmith. What size ring do I need? The infamous question! Mostly coming from men who want to buy an engagement ring and aren’t sure where to start… here are some options. a. Ask your significant other's friends or mother if they know her finger size. We can ship overseas. We do ask that you call us when placing the order, as there is a fee for shipping overseas and will need to adjust your order accordingly. Typically the shipping cost is about $45. A diamond fell out of my ring, what do I do? If your diamond fell out of your ring, please bring the ring back (with the diamond if you have it). We can re-set the diamond for you in house. If the ring was purchased at Day’s and it is a manufacturer’s defect that the diamond fell out from, we will replace the diamond and cover repairs. However, we suggest that all customers insure their jewelry for the retail value, as accidents can happen. 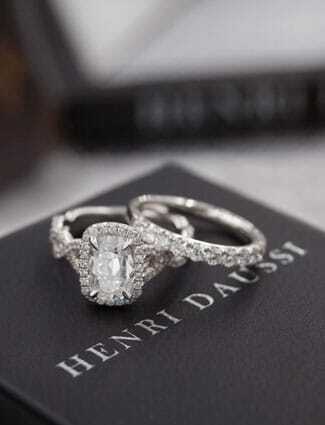 Do you sell moissanite rings? We do not currently have any moissanite rings in stock; however we can special order these. Do you pierce ears? How much? We provide free ear piercing with the purchase of earrings. Please call the nearest store for complete details, and to schedule an appointment. I would like apply for a job at Day's Jewelers. Feel free to submit your resume to info@daysjewelers.com anytime and we will forward it to the appropriate store or department. Yes, we have professional jewelry appraisers on staff at all of our locations. Please call your local Day’s or stop in to set up an appointment with an appraiser. Yes, we do repair jewelry. We have in house goldsmiths that do most if not all repair work right in our store. Do you purchase pre-owned jewelry? Yes, we do on occasion purchase pre-owned jewelry. Please contact your local Day’s Jewelers for more information. What are Princess add a pearls? How does it work? Princess pearls are a great way to celebrate birthdays, accomplishments, and other momentous events through a girl’s life. It is thought that on her wedding day, the pearl strand will be complete. Do you adjust watch bracelets? Do you remove or add watch links? Yes, we do adjust watch bracelets. This is a free service we offer our customers. We will add or remove links from your watch so that you are comfortable wearing it. Do you offer payment plans? What are Day's finance options? Can you substitute CZ's for diamonds in your engagement rings? Yes. We can place any stone that you would like in an engagement ring, whether it be a CZ to hold the place of a future diamond, or your birthstone because that’s what you want! Do I need a return authorization from you to return something? Please enclose the original invoice. Do you buy Estate Jewelry? We do on occasion purchase estate jewelry. Please stop by your local Day’s Jewelers and ask to speak with an associate about purchasing your estate items or any other jewelry. When picking a wedding band, is it best to stick to bands that have the same shape diamonds as my engagement ring? This is your ring, your day, your dream. 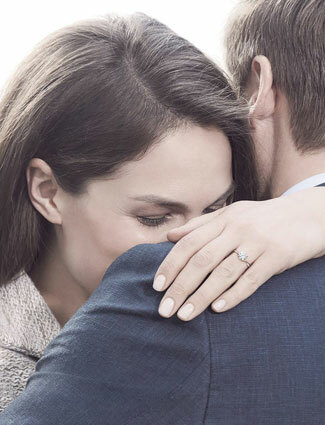 When picking out a wedding band to go with your diamond engagement ring, the possibilities are endless and the choice is yours. You can do round diamond channel band with your princess cut diamond engagement ring or you can do vise versa! It’s all about your preference and style. Check out our blog on Tips for Finding the Perfect Wedding Band – there is a men’s and women’s addition. When in doubt, try it on and see how it looks and feels. What Metals do rings come in? Rings can come in a number of metals. Most common metals are yellow gold, white gold, sterling silver, palladium and platinum. However, rings can come in tungsten, titanium, cobalt, and stainless steel also. To learn more about the metals check out our Education Center.